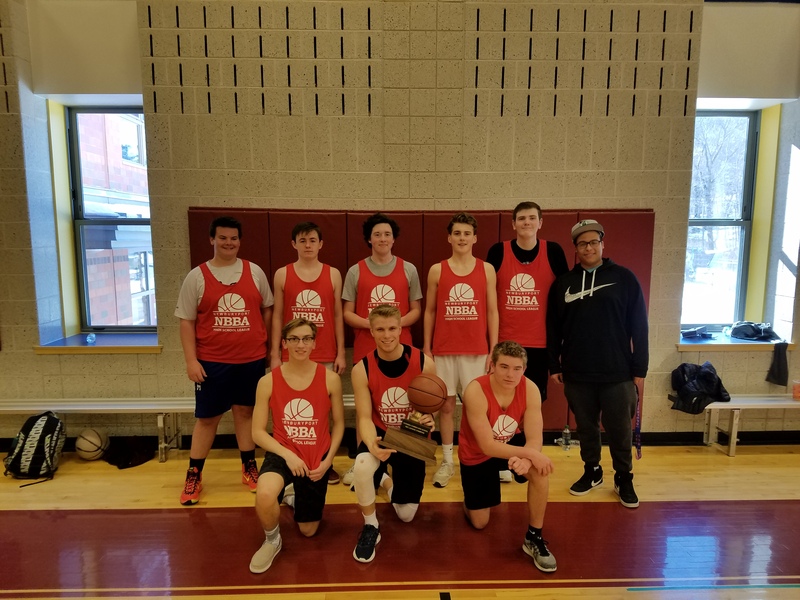 The Red team capped off an undefeated season by defeating Maroon/Green 62–35 on Saturday to claim the Winter Rec League trophy. Mike O'Donnell led Red in scoring and Max Passon made four three-pointers to lead the Maroon/Green team. Congratulations to Red and thanks to all players who participated in the Rec League this season. Hopefully all of the players will be back in early July for the summer version of the Rec League. Red and Green/Maroon earned a bye as the top two seeds.